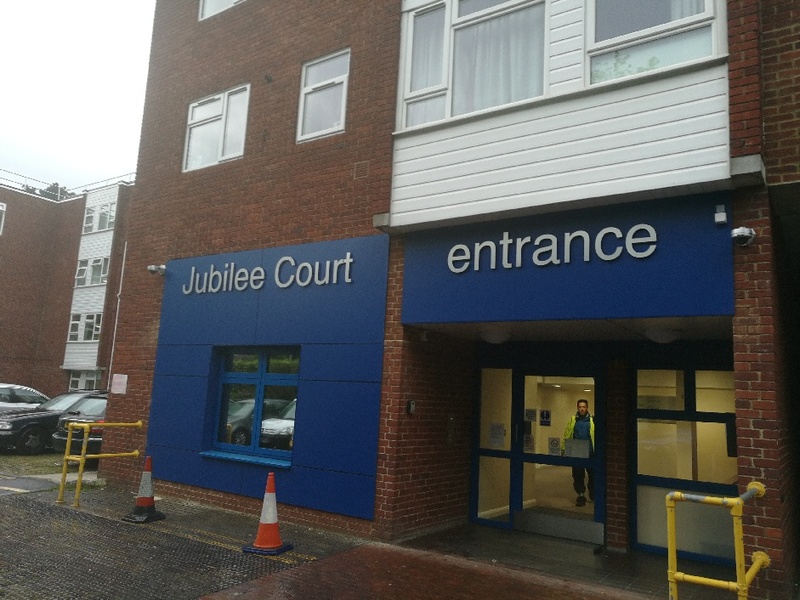 In 2016/2017 a major programme of refurbishment of the front entrance doors took place in Jubilee Court, close to Centre of Bracknell, in Berkshire. Built in 1977 there are over 100 flats in all with over 48 retirement rented flats. It was recognised that the doors, frames and side screens were not compliant with current fire regulations. The FED doorsets and communal doors had, therefore, to be FD30 and FD60 fire resistance and Secured By Design compliant. Soundcraft was employed to carry out a survey of existing openings with a view to replacing the existing doors and screens to comply with Secured By Design & Pas 24 for the FD30 flat entrances doors and FD60 Common Area Doors and Screens. The scope of works included the replacement of 40 Flat Entrance Doors and 38 communal doors, along with the design and finish to match all recently upgrades doors. The Block was fully occupied during the works so it was imperative that it was undertaken to a tight programme and individual flat entrances were completed in the same day. To this end, Soundcraft pre-hung all sets and fitted all of the ironmongery in the factory prior to despatch to the site, as well as liaising with tenants to arrange convenient times for fitting. The FED doorsets and communal doors are high performance and aesthetically pleasing products offering FD30 and FD60 fire resistance and Secured By Design compliant. The specification consisted of quality FSC solid Particleboard core lipped doors edged in solid American Oak. Each door was veneered in Crown Cut American White Oak which was pre-finished with a semi matt lacquer. The vision panels were glazed in clear fire glass matching cloak beads. All doors were pre-hung on 4no satin stainless steel hinges. 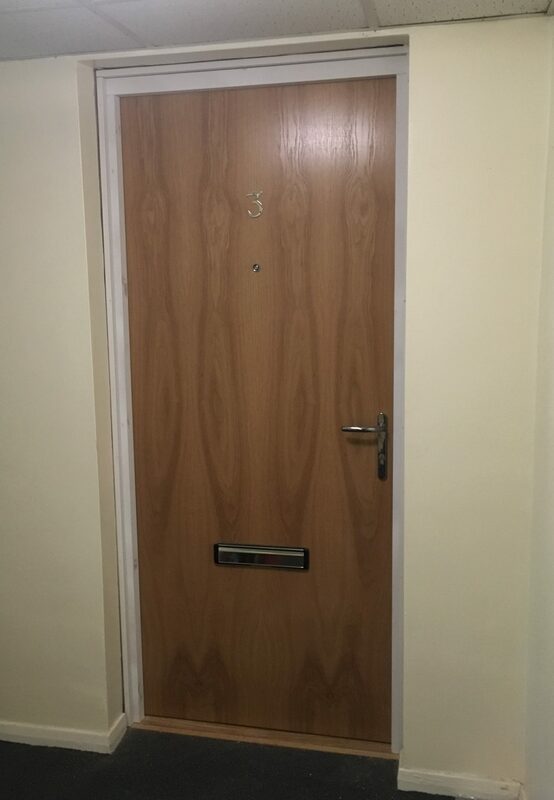 Each flat Entrance doors were fitted with multi-point lock with levers security escutcheon euro cylinder and thumb turn FD30 letter plate and spy hole. The Common area doors had satin stainless steel kick plates along with with push plates and 400mm d handles. The project was completed within the programme and to both the Contractors and Tenants satisfaction.